was born on 6 June 1931 at Highlands in Ivybridge. He was the younger son of Captain Alexander Henry Maxwell-Hyslop, a naval officer and later commander of HMS Cumberland, and Cecilia Joan, née Bayly (Lady of the Manor of Sheepstor). Cecilia was the daughter of Major John Bayly who had also lived at Highlands. As a three year old, Cecilia laid the foundation stone for the original church hall in Blachford Road in the presence of her parents. Major Bayly served with the 16th Battalion, the Devonshire Regiment during World War One and died of an illness he contracted in Gallipoli. He is remembered on the Ivybridge War Memorial. Robin Maxwell-Hyslop was educated at Stowe and Christ Church, Oxford, where he read Philosophy, Politics and Economics. He was a committee member of the Oxford Union and president of the University Conservative Association. In 1954, he joined Rolls-Royce as a graduate apprentice and later worked in export sales. In 1959, he contested Derby North before winning Tiverton at a by-election in November 1960. He remained a Conservative MP for Tiverton until 1992, He was described as an “independent-minded and idiosyncratic specialist on parliamentary procedure”. His greatest triumph was in 1976, which earned him the nickname “Hybridity Hyslop”. Using his in-depth knowledge of the parliamentary rule book he was able to force the Labour government to withdraw and then redraft their plans for nationalisation of the aircraft and shipbuilding industries. He went on to become the longest-serving member ever of the Commons Select Committee on Trade and Industry, serving from 1971 until 1992. Robin Maxwell-Hyslop was knighted in the 1992 New Year’s Honours List. He died on 13 January 2010, aged 78. 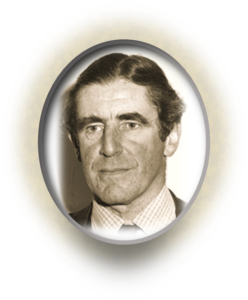 Sir Robin Maxwell-Hyslop was born on 6 June 1931 at Highlands in Ivybridge. He was the younger son of Captain Alexander Henry Maxwell-Hyslop, a naval officer and later commander of HMS Cumberland, and Cecilia Joan, née Bayly (Lady of the Manor of Sheepstor).